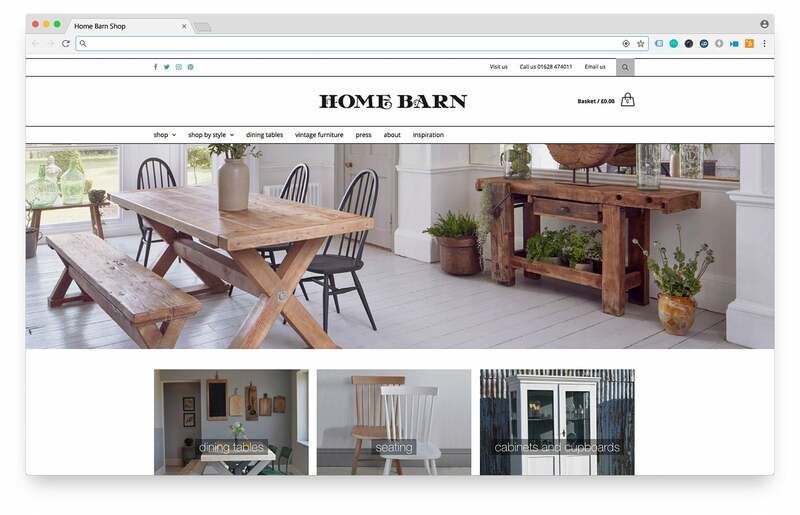 Home Barn have been a client for almost 10 years, and when we first met they didn’t have a website. We created their first website using OS Commerce. The second iteration of their website was migrated to WordPress and WooCommerce, which was a much better system for them in terms of ease of use and the ability to update. Just a few months ago we launched the third version of their site, now using a premium theme on the same WordPress and WooCommerce platform.